Brace yourselves, winter is coming. As such, it is never too early to start planning ahead for the annual rise in winter heating costs. A common misconception is that the most effective ways to decrease energy costs is by resorting to expensive, large-scale solutions such as installing new insulation throughout your home. Sure, that will definitely work at keeping you warm, but it will also cost you an arm and a leg to do so. The truth is that there are a number of small things you can do right now to help chip away at the overall amount of energy you use this winter. If done correctly, these small changes will lead to big savings. The key is taking the time to assess your needs and choosing the approach which best matches your goals while limiting your expenses. 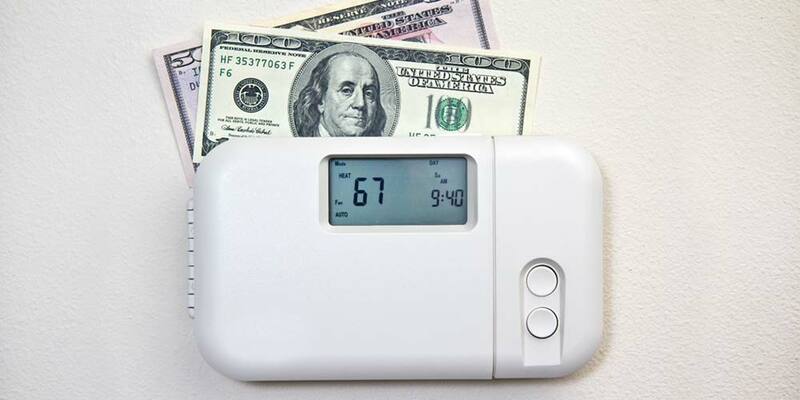 Stay warm with these six tips to saving money on your winter heating bills. One of the easiest ways to save money on winter heating bills is to follow a supplemental heating strategy. This strategy is simple, really. 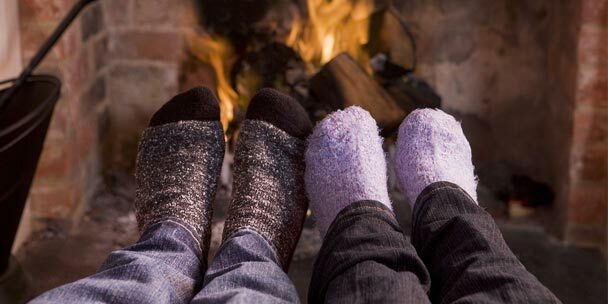 Instead of heating your entire home, including unused rooms, you use a space heater or electric fireplace to keep the most frequented room in your house warm. Most households use one or two rooms significantly more than the rest. This typically includes the living room, kitchen and bedroom. 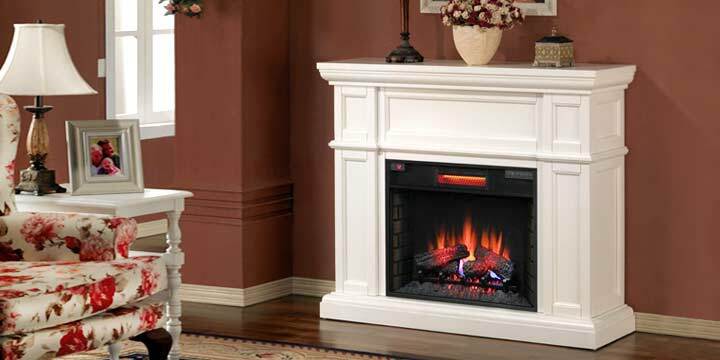 The easiest way to save money on winter heating, would be to add a space heater or a decorative electric fireplace heater to the most popular rooms, and avoid heating the entire house all day long. It is particularly useful if you are in a home with a large number of unused or rarely used rooms, such as guest bedrooms, laundry rooms, basement, and large closets. Space heaters are also helpful at reducing the amount of energy required to heat a home during the evening when everyone is sleeping. A small space heater can generate more than enough heat for a bedroom so you can sleep comfortably while simultaneously maintaining a lower temperature throughout the rest of the house. 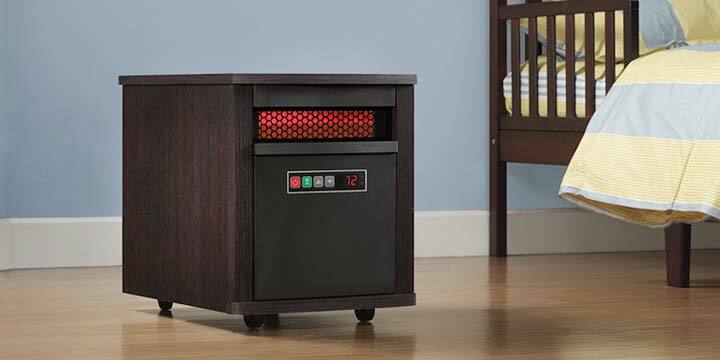 When selecting a space heater it is important to choose the right equipment for your needs. For example, if you are looking to heat a small portion of the room than a radiant heater is your best choice. 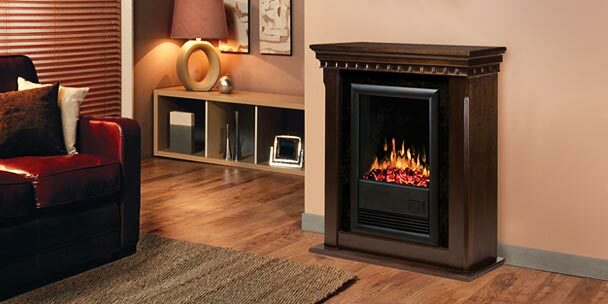 This type of heater is designed to only heat up the area directly surrounding it. It is the perfect solution for garages, dens, and laundry rooms. On the other hand, a convection space heater is best suited to heat entire rooms. This is because it is designed to warm up the air itself. It has become common practice for utility companies to offer energy audits to their customers. With the growing number of energy credits available, many utility companies offer this service for free. A representative will come to your home and help you assess your needs. 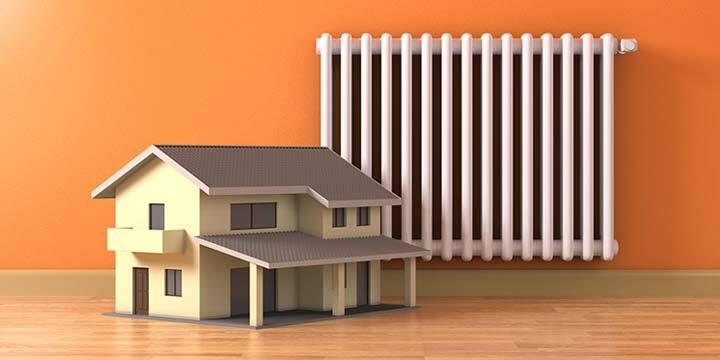 They will also help you identify simple solutions to your homes biggest heat loss sources. One of the most common issues they address is air leaks. It doesn’t matter if you are in a new house or an older one there is a good chance your warm air is sneaking outside through drafty doors and windows. Sealing these leaks is a quick and inexpensive way to immediately improve your home’s energy efficiency. Another great way to save money on winter energy bills is by switching to a tankless water heater. A traditional water heater will waste an average of seven percent or more of the total water heating energy. This is because the cooler surrounding ambient temperature will draw energy and heat away from the water tank. A tankless water heater doesn’t suffer from this problem because the water is only heated as it is needed. EnergyStar estimates a tankless water heater will yield a savings of nearly $2000 in energy costs over the lifetime of the equipment compared to traditional storage models. As an added cost-savings benefit, tankless water heaters have a life expectancy of more than 20 years which is significantly longer than any conventional tank water heaters currently on the market. Plus, leaks and water damage is no longer a potential risk because no water is stored in the heater. One thing to keep in mind when switching to a tank list water heater is your maximum water usage. For example, if your household often runs two or more shower simultaneously then there is the potential that a tankless water heater will not be able to meet the demand. On the other hand, there is no risk of running out of hot water when taking back-to-back showers which is a common problem for storage-based water heaters. Another great tip is to reverse your ceiling fans in the winter. Most ceiling fans have a little switch on the motor that allows you to reverse the direction for which it spins. 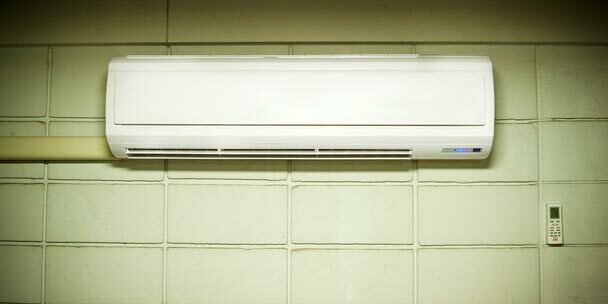 You can quickly change the direction of blades which will push air downward along the walls. This is important because warm air rises and your ceiling fan is an easy way to redistribute it closer to the floor. Area rugs and curtains are two more tools you can use to fight the winter chill. Area rugs effectively trap cold air underneath and prevent it from seeping up into your room. They also don’t feel cold on your feet, like tile or wood floors sometimes can. Opening your curtains to allow the daylight to enter the room will help warm you up during the day. This allows the solar radiation to enter your living space, and help keep you warm. Be sure to close all curtains once the sun starts to set, as this will not only help keep the warm in, but also assist in keeping the cold air out. There’s no better time to install a smart thermostat, then the start of winter. A smart thermostat is basically a thermostat that is programmable and has the ability to raise and lower the temperature in your home based on the schedule you’ve chosen for it. Some thermostats are so smart, that they actually learn your schedule and adjust the temperature accordingly. Most smart thermostats are also wi-fi enabled, giving you the opportunity to adjust the schedule and temperature from your cell phone or tablet. 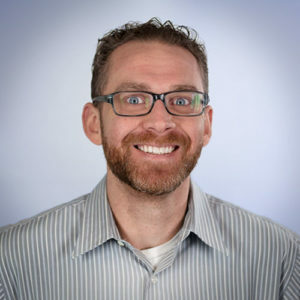 I personally have the Nest Learning Thermostat (2nd generation), which I would strongly recommend, but it would be wise for you to fully research all the options available to you, and most importantly, ensure that they are compatible with your central AC and furnace in your home. Integrating space heaters, programmable thermostats and a tankless water heater into your energy conservation strategy are all inexpensive ways to save a significant amount of money this winter. Implementing these six tips, you’ll be able to cut the amount of energy you need to keep your home warm and toasty all winter long.